The Windows 10 Creators Update includes new innovations, features, and security capabilities. It is an exciting release, but upgrading all your workstations can be a challenge. Microsoft System Center Configuration Manager (SCCM) can help to control and automate the upgrade process called Windows 10 Servicing. Security – Dynamic Lock is a feature that works with smartphones, fitness bands, or any device that’s paired to your PC or tablet which detects when you step away from your PC or tablet, automatically locking it for an extra security and privacy. UEFI Conversion – MBR2GPT is a new tool which lets you convert an MBR disk to a GPT disk. With the Creators update we can now convert an existing MBR disk to a GPT disk without deleting it. 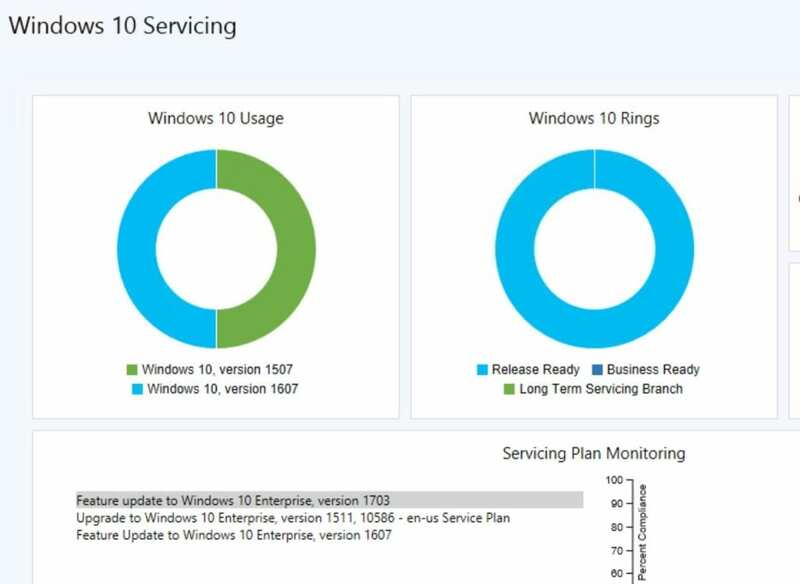 In System Center Configuration Manager, you can view the state of Windows as a Service in your environment, create servicing plans to form deployment rings and ensure that Windows 10 current branch systems are kept up to date when new builds are released, and view alerts when Windows 10 clients are near end of support for their build of Current Branch or Current Branch for Business. Keeping Windows up to date provides improved security. We can help automate the update process using SCCM servicing plans for Windows 10. Need more information? Email info@peters.com. We are happy to help.